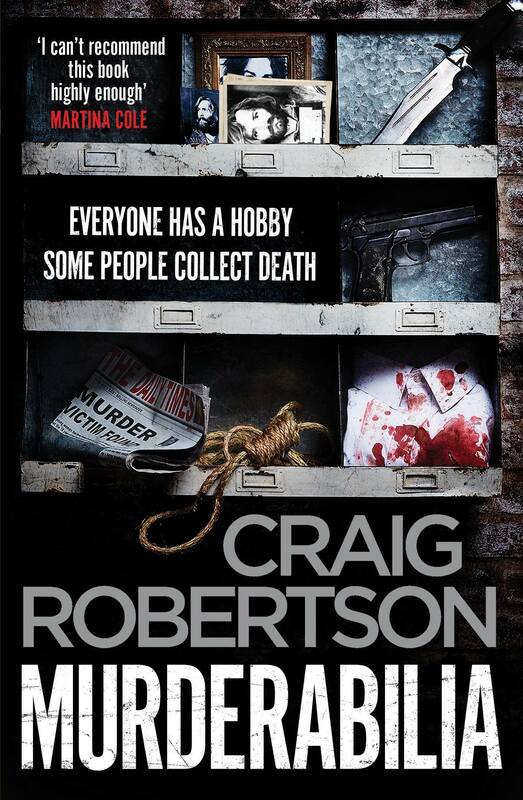 Murderabilia is the new novel by Craig Robertson. 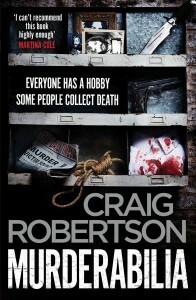 It launches officially at Bloody Scotland on Friday 9 September 2016. The first commuter train of the morning slowly rumbles away from platform seven of Queen St station. Everyone on board is sleepy, avoiding eye contact, reluctant to admit the day has begun. And then, as the train emerges from a tunnel, the screaming starts. Hanging from the bridge ahead of them is a body. Placed neatly on the ground below him are the victim’s clothes. Why? Detective Narey is assigned the case and then just as quickly taken off it again. Winter, now a journalist, must pursue the case for her. The line of questioning centres around the victim’s clothes – why leave them in full view? And what did the killer not leave, and where might it appear again?